As my life seemingly keeps guiding me away from the Midwest, I have found myself in Florida, again. This time, however, I moved to West Palm Beach to work for The Breakers Palm Beach in their Golf Operations. I have been in orientation and training for the past week and have my first “real” day tomorrow. I am beyond excited to work for such a great family owned resort–something really rare for a hotel/resort in this day and age. If anyone ever visits Palm Beach, you can find me in the golf clubhouse! We have family friends down here who have been a tremendous help to me getting acclimated with the area and I can’t thank them enough. When I moved to Fort Myers in 2008 and 2009, I didn’t have to worry where to live and had friends already down there–this time is a little different. Luckily, though a couple connections, I have met a few people and went out last night on Clematis street, where all the bars and restaurants are in West Palm Beach. It’s kind of funny trying to make friends when you’re older…when you’re little, you can attract friends because your mother forcefully made you play with your neighbor or set up a play date or you had a really cool new toy or Nintendo. At 23, the newest “toy” I have is my iPhone and I really don’t think I’m going to draw any friends with that. That being said, it takes being out of your comfort zone to try new things, meet new people, and really rely on your personality to make the most of your surroundings. For instance, I didn’t meet anyone, but I went to the movies alone the other day. Granted, I went at 4:05 so I didn’t feel like THAT much of a loser (but I mean really, it was kind of nice watching it in silence, not having the person next to me asking questions or what not) but a lot of people find it very uncomfortable doing things like this alone. I am definitely not a ‘loner,’ per say, but I don’t mind going to movies alone or shopping or exploring. 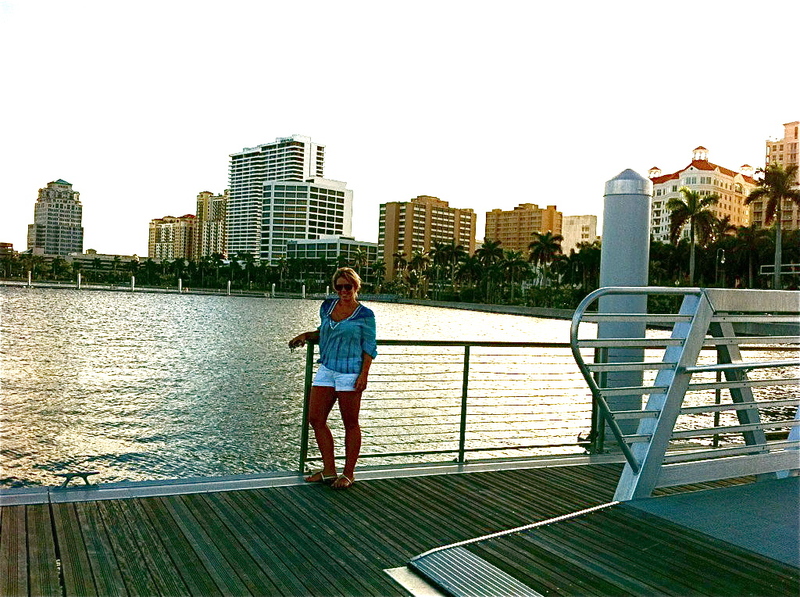 Lucky for me, downtown West Palm, right along the intracoastal, offers plenty of things to do and see. And, I don’t seem to be the only newbie around here. My friend and I also met someone last night at Roxys (a bar on Clematis) that had just moved here not too long ago. Welcoming him into our “newbie” group, we all exchanged numbers and have plans to grab dinner/drinks again soon. So, apparently, THAT is how you make friends when you’re my age. Sit at a bar in a very small number to show you don’t know anyone and wait for a bite. In our case, it worked and we weren’t even trying. Whatever works, right? Anyway, this is life as of right now…let’s hope my friend count keeps growing!